Sacramento, California is the state’s 22nd most violent city according to the FBI. It has a violent crime index of 8.70, which is the ratio of 8.71:1000 or 8.71 people out of 1000 experience a violent crime. 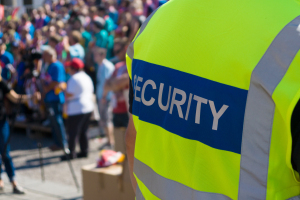 Sacramento Elite Patrol is a comprehensive security company that provides security to a wide array of businesses including the Sacramento hospitality industry. As a top Sacramento hospitality security business we provide event coverage, hotel/motel security, parking management and security. We offer both armed and unarmed guards and employ state-of-the-art technology to detect, prevent, contain and isolate criminal activity within and around the businesses we serve. Because we offer services to surrounding cities, we can mobilize a large force of security personnel. With a concentrated force that is large enough to provide high caliber security services to the hospitality industry of the entire region, we have what you need to keep your customers, events or business safe. Parking and Parking lot management and security. Perimeter patrols via car, bike or on foot. Technology security for detection and passive prevention. Seamless integration with local law enforcement. Customized services to fit your needs.